Crafting content for digital media involves more than just the way in which words are shaped, or how they resonate with a specific audience. Although good writing skills, research, editing and the structuring of coherent and rewarding narratives remain relevant, it has become essential to understand the technicalities around website architecture and the aesthetic nuances of design. Furthermore, the increase in mobile phone usage necessitates the emergence of a digital writer with specialised copy-writing and technical skills. The field of User Experience design, known as UX, is now accepted as the invaluable human-focused approach to designing digital products and systems. UX focuses on ways of enhancing user experiences with digital content. This could be anything from the journey through a banking app on a cell phone, to resetting the time on a digital alarm clock. Although previously the domain of the digital designer, there is a growing realisation that the digital writer also needs to be a part of the technical team. In South Africa, the role of the UX writer is not yet clearly defined, and will continue to evolve with industry demands and ongoing shifts in technology. Globally however, companies like Google, Apple, PayPal and DropBox all employ specialist UX writers, who use their copywriting skills along with their technical skills to help guide users through digital interfaces, to achieve specific tasks. Writing-focused user experience designers will be a critical part of the way we design for experiences from here on out. Mobile phones, as previously mentioned, have undoubtedly influenced the emergence of this new digital writer. But mobile is more than another digital medium, it represents an historic shift in the way we communicate and behave. We all know how smart phones have become integral to our daily activities, and not just for making calls – remember the days when we also had to carry a notebook, camera, phone, calculator and yes, even a torch?! In 2020 the number of mobile phone users in the world is forecast to reach 4.8 billion. What are these new skills required to write for mobile? With the surge in mobile phone usage, writers and designers have needed to adapt their approach to design as well as their grasp on the personal relationship people have with their cell phones. Regardless of whether content is being written for mobile or the web, certain design principles remain the same. The theories of hierarchy and hypertext, which cater to the demands of the impatient and distracted web user by supplying links and “scannable” content, remain a common feature. Mobile users, however, have even higher expectations, such as requiring easy to access information that is synchronised to a specific location from their cell phones, despite having to navigate across a tiny keyboard with big fingers! UX writing is therefore characteristically task-focused – a clear purpose exists for every mobile interaction, whether it’s texting, searching or sharing. With the reduced real estate of a smartphone screen, brevity remains core, as each word competes for space on the screen. Writing for mobile also requires an astute understanding of usability methodologies. This might not even involve reading words, but sharing conversations with voice-activated user interfaces. The many unique characteristics of smartphones all influence the way in which text should be written. 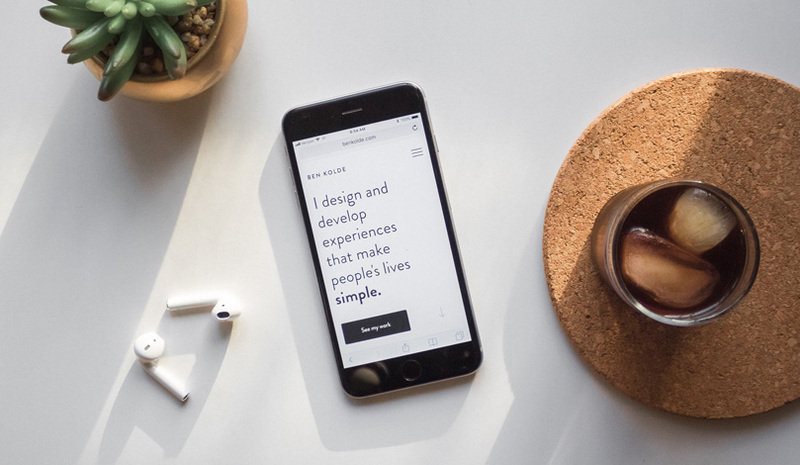 Some say that effective UX writing shouldn’t be noticed, just as the right choice of typeface in good design does its job without drawing attention to its form. The current and growing dominance of mobile phone usage is undisputed, and highlights a significant shift in human behaviour and communication, as technology becomes seamlessly integrated with everyday interactions. This calls for writers who possess a new arsenal of knowledge and insight. The skilled digital writer now operates beyond words to become a key role player in the development of meaningful human-computer experiences. Hello Google and thanks Siri! Mandy Speechly is a copywriting lecturer at AAA School of Advertising in Cape Town and a contributing author to Connect: Writing for Online Audiences. Her research interest is digital communication, focusing on user psychology relating to website and mobile writing. Click here to visit her LinkedIn profile. "The emergence of a new digital writer: Crafting words for mobile user experiences - By Mandy Speechly, 3 October 2018"